The demand for technicians to service the growing number of hybrid and alternate fuel powered vehicles is increasing. This translates into job security for the alternate fuels vehicle technician. To reduce the nation’s dependence on foreign oil, we must continue to substitute alternate fuels. Consumers worldwide are steadily turning to hybrid and alternate fuel powered vehicles. 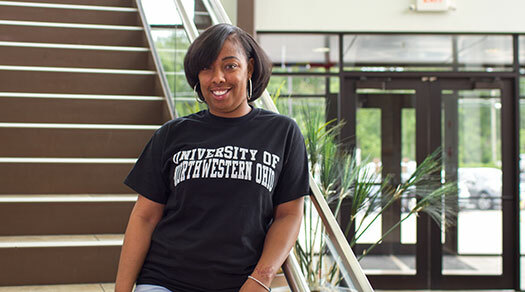 The University of Northwestern Ohio is one of the original six founding members of the National Alternate Fuels Training Consortium (NAFTC). Upon satisfactory completion of the program the students will become certified by the Consortium in Natural Gas and Propane. You have the opportunity to complete one of the most advanced programs in the country. 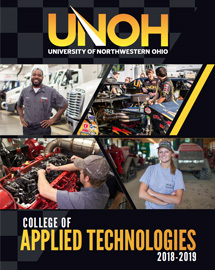 The University of Northwestern Ohio owns one of the largest training aid fleets in the country, which consists of alternate fuels and new technology vehicles. This fleet exposes the student to a broad spectrum of vehicles that are being used more and more by consumers worldwide. At the end of this program students can achieve several certificates in Alternate Fuels to add to their resumes. Our world is changing. There are millions of alternate fuel vehicles on the road. Many US cities and states are required to have 75% of their fleet comprised of Alternate Fuel vehicles. Currently, many students add the alternate fuels diploma to their major which will distinguish them from all other job candidates! *Percentages are based on surveys of our 2013-2015 academic year alternate fuel-automotive and alternate fuel-diesel diploma graduates who reported they are employed or are continuing their education within 6 months of graduation from the University of Northwestern Ohio. There was a 74% response rate to this survey.